In his touching autobiography, heralded philosopher and theologian Peter Abelard reveals the most intimate details of his life marred by betrayal and persecution. Abelard tells of a philosophical rivalry with his dear friend and teacher, William de Champeaux, which tragically ended their close relationship. 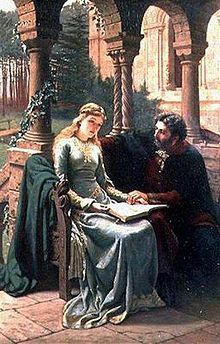 He tells of his deep romantic love with his student Heloise, and of how their romance enraged Heloise's uncle, who later inflicted upon Abelard the cruelest physical torture. Abelard tells of how he abandoned philosophy in hopes of finding solace in the monastery, where he was only further slandered by his peers for his progressive theology. At the close of his autobiography, Abelard shares the words of the Apostle Paul, by which Abelard found solace during his troubled life: "I do not seek to please men. For I yet pleased men, I should not be the servant of Christ" (Gal. 1:10). Abelard tells of his persecution in hopes that his readers will be able to bear their own persecution with as much strength and dignity as he did.